Indian auto market, being a prospective market is becoming the first choice for many car makers. Being a liberal country India is going to witnesses a number of new launches in coming years. Following this long series, the renowned auto group Mitsubishi is also adding its name in the portfolio. Yes the globally famous car maker is coming with its all new Pajero sport in Indian car market to be launched on February 15th 2012.The much awaited Mitsubishi Pajero is on the whole 2008 challenger which will be known as Pajero in Asian car market. It has been a long time since the world is coming though a large range of rumours about this upcoming car, but as for now the car maker has put an end to all rumours and coming with this all new Mitsubishi Pajero. Coming to the designs of the car, this all new Pajero is mannish and audacious car expected to give tough competition in the market to other rivals like Toyota Fortuner and BMW X1. However the car was expected to be launched in India long time ago, but Thailand floods ruined all plans. Right now the company has enough supplies and the car is ready to be launched in February 2012. Although the Mitsubishi Pajero price is yet not reveled, but it is expected that the car will get a price tag of Rs 22 lakh. 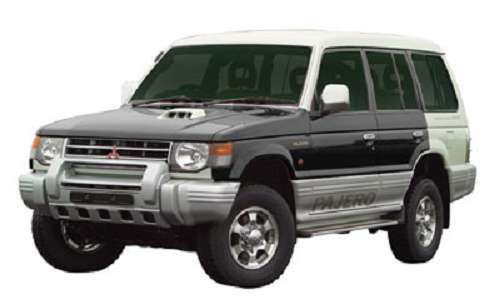 The seven seater Mitsubishi Pajero pictures are good enough to fascinate customers. For India, the car will come through CBU route, and is expected to go for the CKD kits, if the company gets good response for the car in Indian car market. If this happens then the Mitsubishi Pajero will be developed at HM’s plant located at Thiruvallur. Coming to technical specifications of the all new Pajero, the car is powered with 2.5 litre of diesel engine which is able to churn out a maximum power of 134 BHP and a maximum torque of 320 Nm. Apart this brilliant engine, the car will be mated with both automatic and manual gear box for supplying power more effectively and efficiently.